Big dinosaur toy from Melissa and Doug. Giant long neck dinosaur Apatosaurus plush toy is cuddly soft, premium quality with rainbow colors. 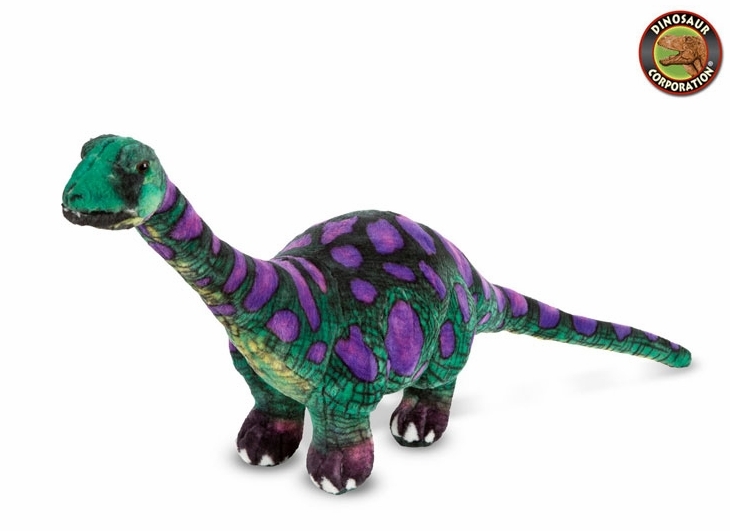 Jurassic Apatosaurus is perfect for indoor and outdoor play or display in your kids dinosaur room! * Size: Apatosaurus toy is almost 24" tall and 43" long from head to tail.